The 2019 MXU 450i L.E. Prime is one of the most feature-packed ATV's in the industry. The MXU 450i LE Prime has even more to offer than the feature-rich MXU 450i LE. With premium upgrades like Kaifa gas shocks, you'll be sure footed when handling the roughest terrain. 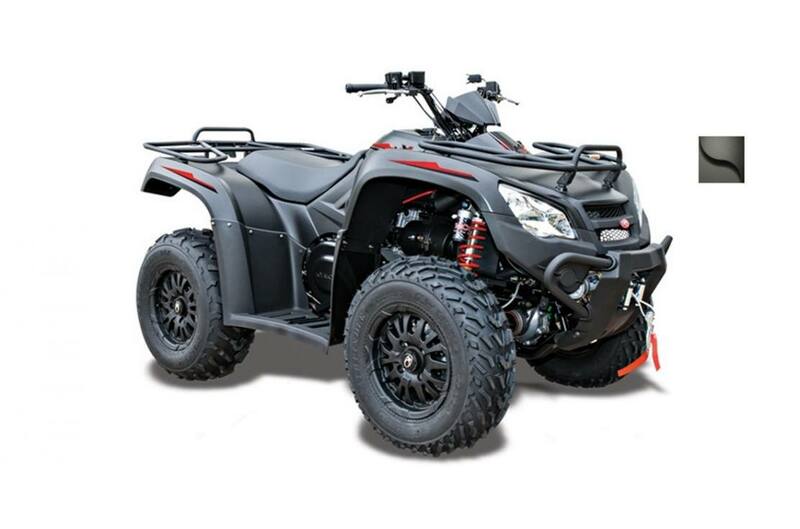 This Prime model also comes with sporty matte black aluminum alloy wheels and a Prime graphics package distinguishing your ATV from the crowd. Instrumentation: Speedometer, odometer, tachometer, fuel gauge, gear position indicator, clock, fault code indicator, 2-wheel/4-wheel drive indicator.